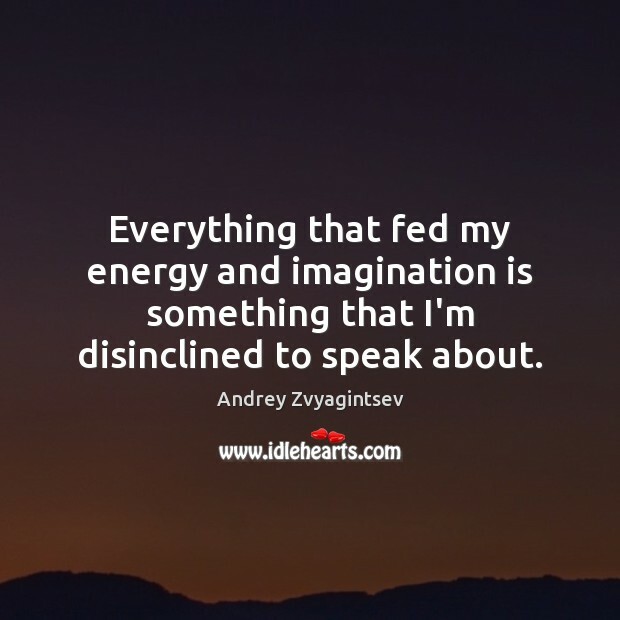 Enjoy the best inspirational, motivational, positive, funny and famous quotes by Andrey Zvyagintsev. Use words and picture quotations to push forward and inspire you keep going in life! Film entertains with different angles, quick moves, like a commercial. 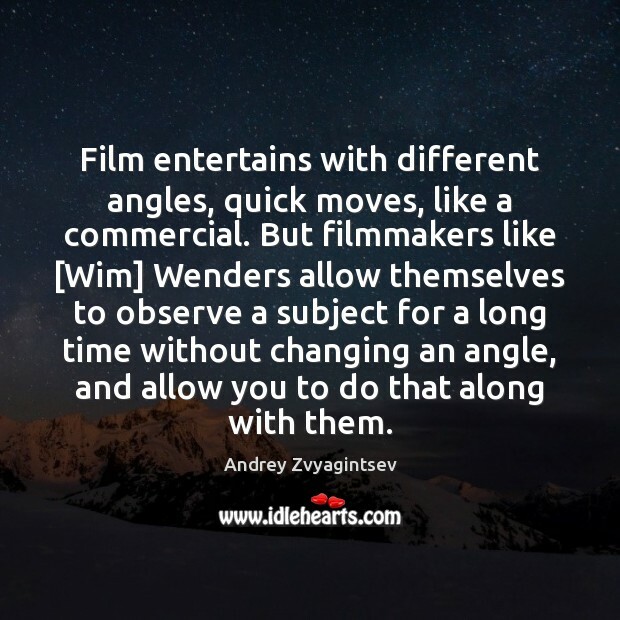 But filmmakers like [Wim] Wenders allow themselves to observe a subject for a long time without changing an angle, and allow you to do that along with them. Most Russians don't treat the government, or those in power, as something close to them. 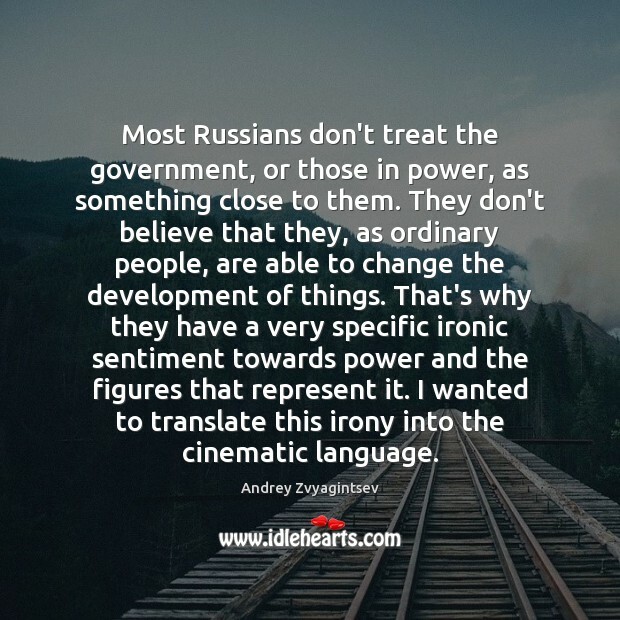 They don't believe that they, as ordinary people, are able to change the development of things. That's why they have a very specific ironic sentiment towards power and the figures that represent it. I wanted to translate this irony into the cinematic language. I knew, starting in 10th grade, I wanted to be in theater and an actor. 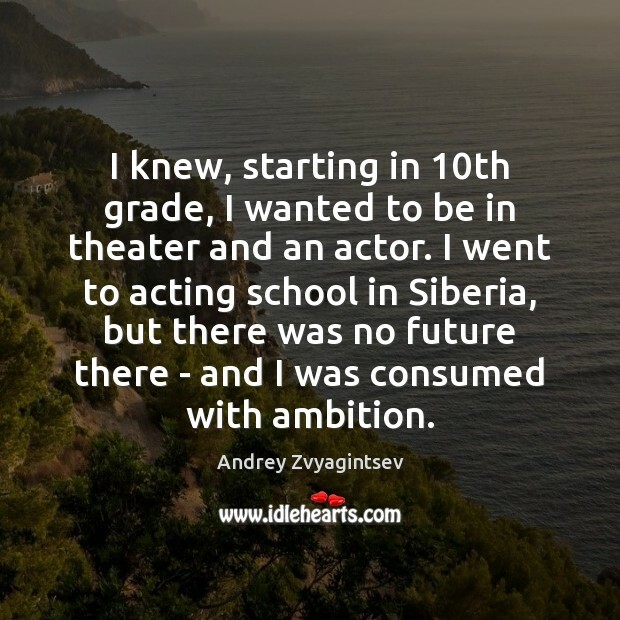 I went to acting school in Siberia, but there was no future there - and I was consumed with ambition. Church, the spiritual power, and the executive power are working today united in a system that confronts people. 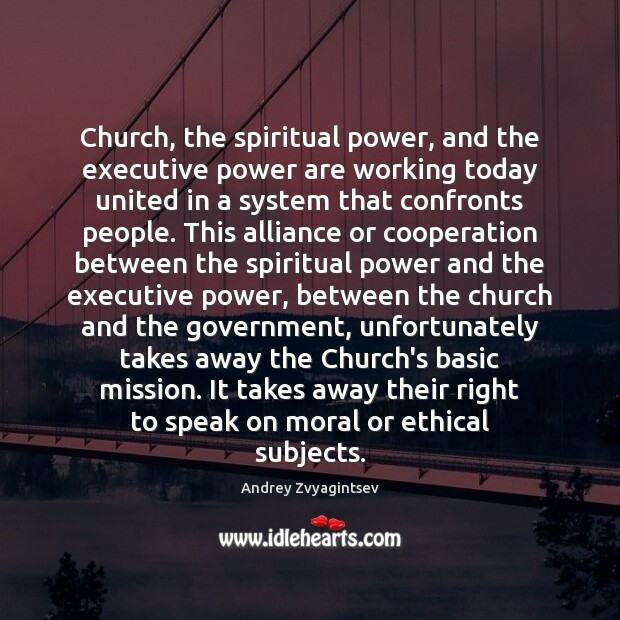 This alliance or cooperation between the spiritual power and the executive power, between the church and the government, unfortunately takes away the Church's basic mission. It takes away their right to speak on moral or ethical subjects. 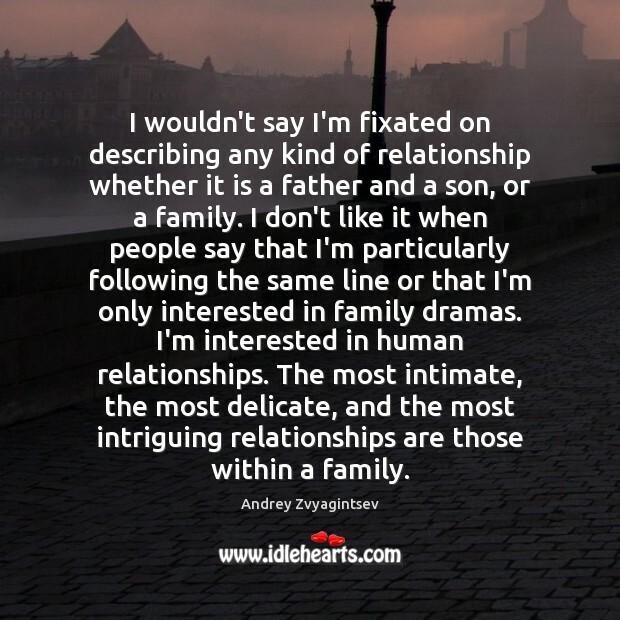 I wouldn't say I'm fixated on describing any kind of relationship whether it is a father and a son, or a family. I don't like it when people say that I'm particularly following the same line or that I'm only interested in family dramas. I'm interested in human relationships. The most intimate, the most delicate, and the most intriguing relationships are those within a family. 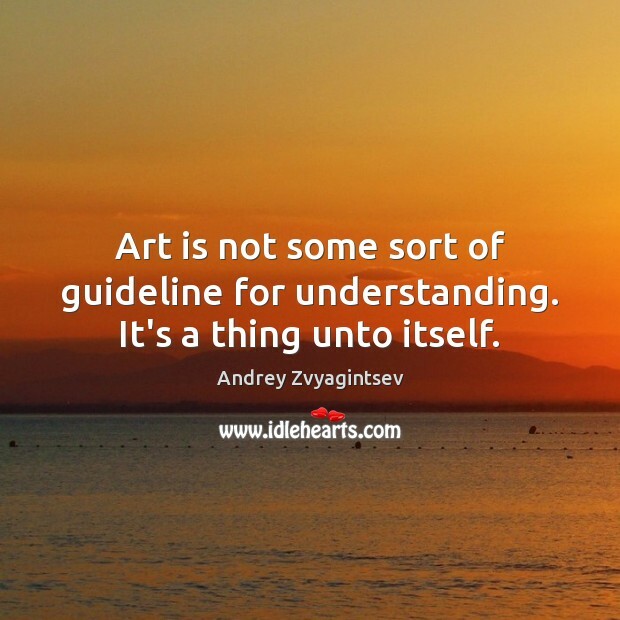 Art is not some sort of guideline for understanding. It's a thing unto itself. Observing life, living through it. 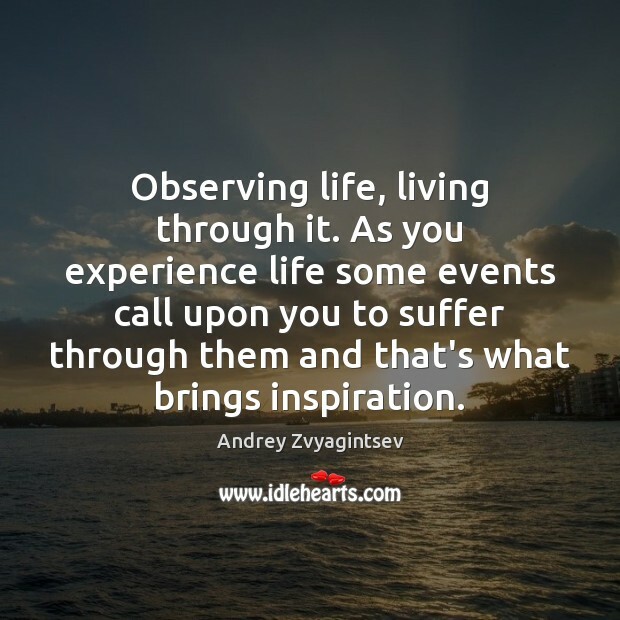 As you experience life some events call upon you to suffer through them and that's what brings inspiration. 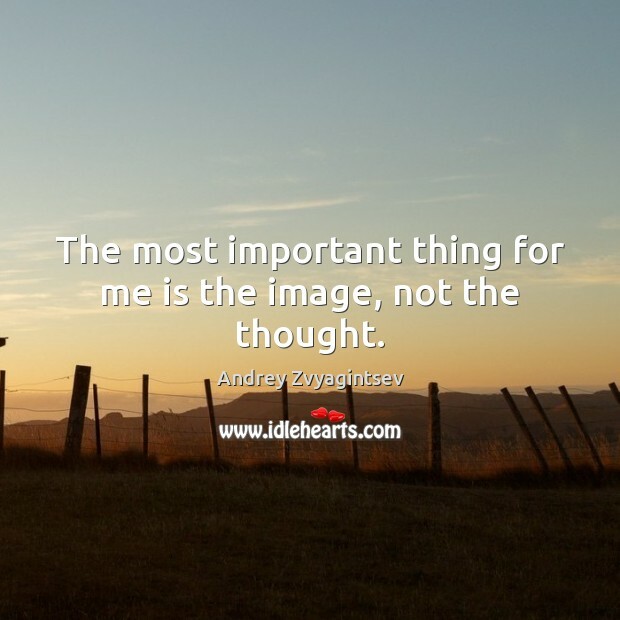 The most important thing for me is the image, not the thought. When I was shooting the film I did not see the story as an everyday tale or a social one. 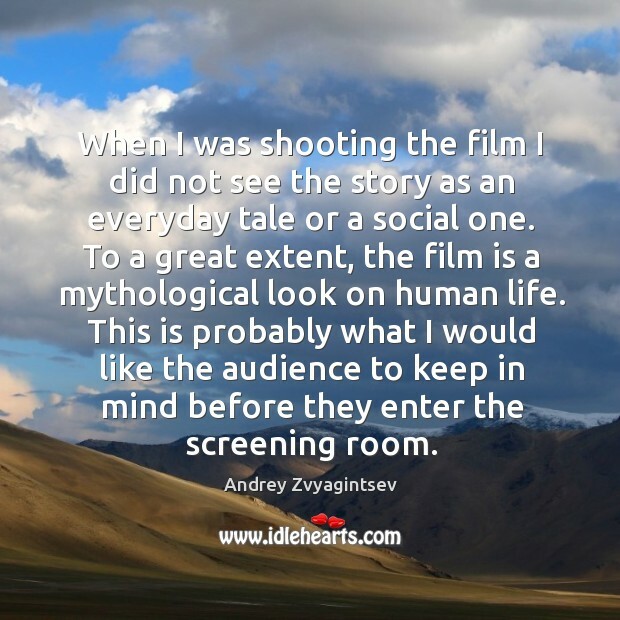 To a great extent, the film is a mythological look on human life. This is probably what I would like the audience to keep in mind before they enter the screening room. 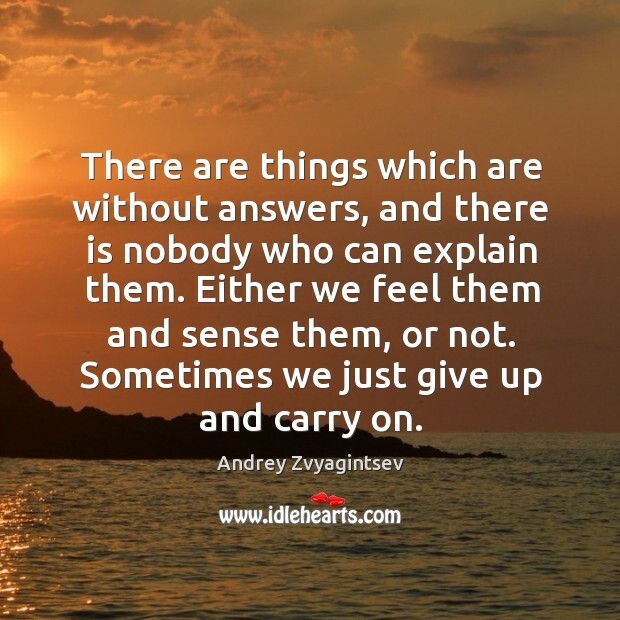 There are things which are without answers, and there is nobody who can explain them. Either we feel them and sense them, or not. Sometimes we just give up and carry on.